HOUSTON - Dire, devastating and catastrophic are just some of the descriptions of Florence as it makes contact with the coast of North Carolina. Florence is just one of four named storms making for a very busy week in the tropics plus an area of low pressure in the Gulf that still has a very slight chance of developing. Here’s a look at what we know and what we don’t for each of the systems right now, and any impacts that they may have on Texas. 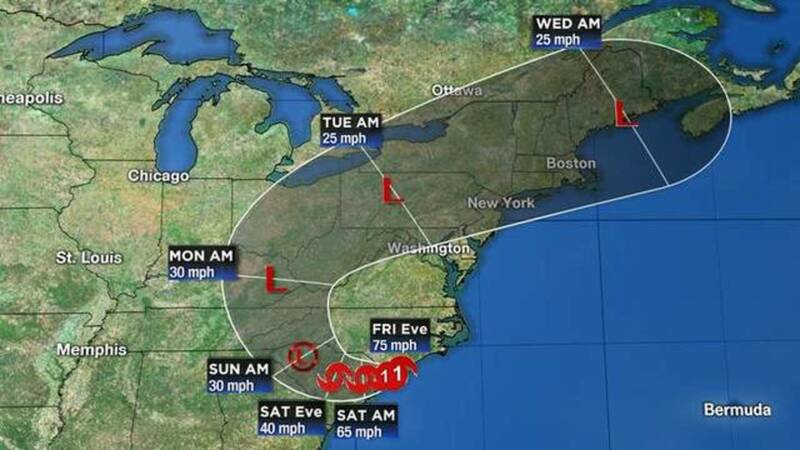 Florence has weakened to a Tropical Storm. Residents along the Carolina coast are finding that it is the storm surge causing much of the early damage as the eye of Florence skirts the coast near Wilmington North Carolina. Hundreds of people have had to be rescued in cities where the strong wind has pushed surf to dangerously high levels. This is just the beginning of what is expected to be a multiple-day event that will cause tremendous damage and possible loss of life. The eye of Florence has moved inland and will continue to move slowly west dropping significant amounts of rain over the weekend. While this storm will not have any impacts on the weather in Texas, for the Carolinas and Virginia and Georgia, it will likely be a significant weather event. In addition to the dangerous storm surge the strong winds will also cause damage and widespread power outages. NHC forecasters are tracking a cluster of thunderstorms in the Gulf of Mexico, which has been designated as Invest 95-L. There is now a 0 percent chance of a tropical depression or a tropical storm forming. Regardless, it is important to watch this area because, at the very least, it will sling abundant tropical moisture toward the upper Texas coast. The main impacts here will be elevated rain chances, higher-than-normal tides and heavy surf. Given that the ground along the coast is already saturated from heavy rain this week, additional rainfall may cause additional isolated flooding. There is a flash flood watch for coastal counties until 4 a.m. Saturday for a tropical downpour or two. Although large impacts are not expected from this system, it is a good reminder that we are at the peak of hurricane season and the tropics can get very busy very quickly. Make sure you have a plan of action for when the next storm hits. Isaac has has made it back to Tropical Storm strength at 40mph. The system will continue to move west at 15 mph over the next several days and is expected to pass far south of Puerto Rico and Jamaica. 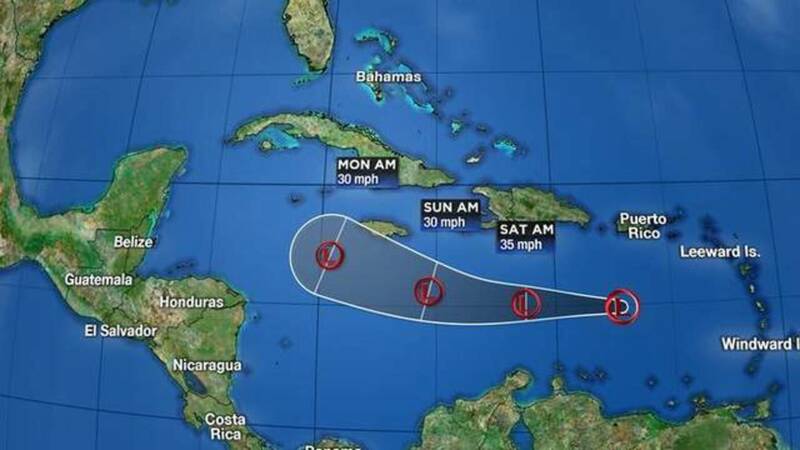 The long-range forecast for Isaac is for it to dissipate by Tuesday. 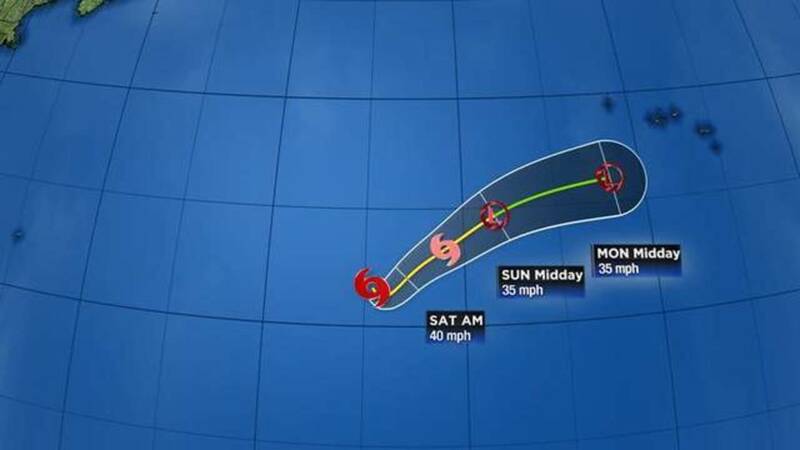 Tropical Storm Helene is in the open Atlantic and is expected to stay there. There is no threat to the U.S. or Southeast Texas. Subtropical Storm Joyce is in the open Atlantic. 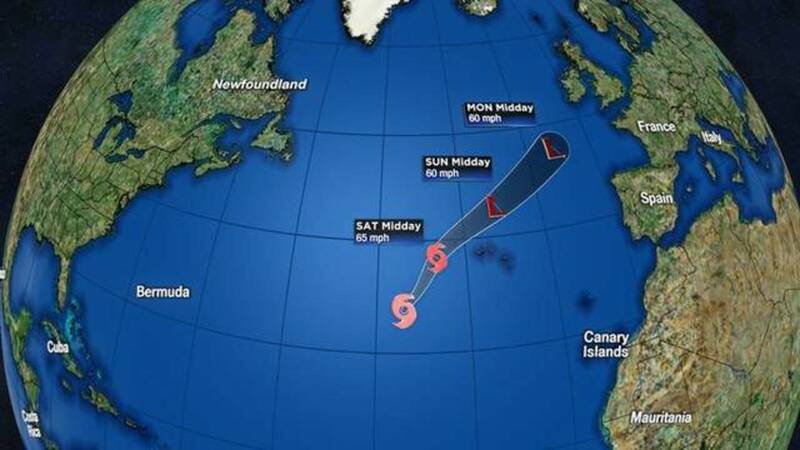 The storm is expected to stay out in the open Atlantic over the next few days and is not expected to strengthen much as it moves into the Northern Atlantic. There is no threat to Southeast Texas from Joyce. Living along the Gulf, it is important to always be ready and prepared for a tropical system. Systems that form in the Gulf can lead to tropical weather hitting Southeast Texas in less than two days. This is why it is always important to be prepared. Check out our Hurricane and Flood Survival Guide to learn how to be hurricane strong. Download the KPRC Hurricane Tracker app to keep up with all of these systems from anywhere. Click here to download it, or just search KPRC in your app store.